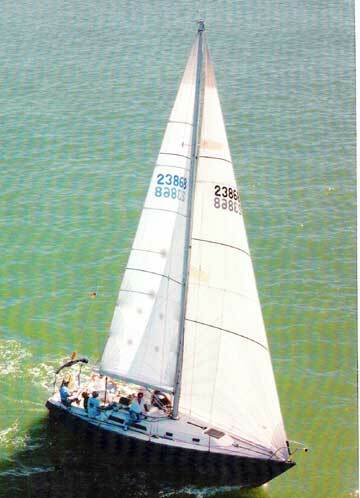 Striker is a 34' fiberglass, sloop rigged, sailboat. Aluminum mast, spreader and boom. Stainless steel rod standing rigging with bronze and stainless turnbuckles and fittings. Stainless steel bow and stern pulpit, stainless steel stanchions with double lifelines. Vee berth, 4 berths in saloon and a quarter berth. Galley has stainless sink, foot pump for 40 gallons water and Origo alcohol 2 burner stove. Engine: Yanmar 2GM20 about 2700 hours. This boat is an excellent racing machine. Included is an impressive collection of racing sails to make Striker go FAST.